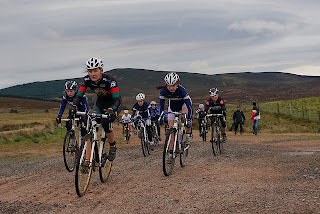 Round Three of the Ridley Scottish Cyclocross Series took place at a wild and wooly Knockburn Loch Sports Facility. The Deeside Thistle put on a marvellous display just even getting the course in order after tempestuous rain and stormy weather. The event has really grown with more and more riders making a weekend of it by lodging in Banchory and Ballater the night before. Gordon Watt and the Deesiders made some nice changes to the course , which is the only purpose built venue in the series, and the parcour had a lot more sand to traverse, and despite the bitter cold riders warmed to the venue and all the races. The Senior class has provided a real mix and match results wise this year with no clear cut stand out racer who looks like dominating the full year. 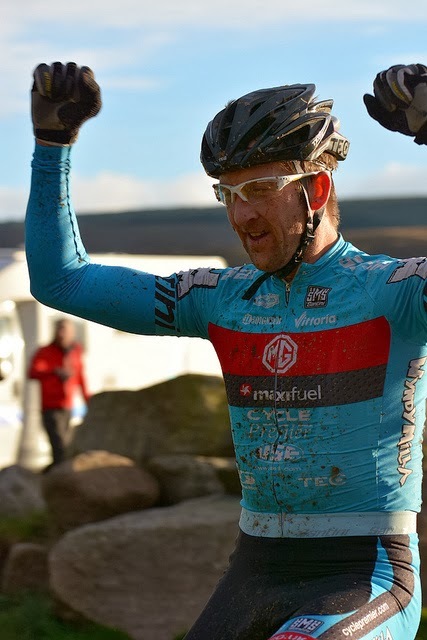 From the gun, it was Davie Lines (MG-Maxifuel who set the heather on fire building up a commanding lead over local star Dan Whitehead (Bikestation Ballater) and a strong pack comprising Colin May (Velo Club Edinburgh) Sean Clark (Velo Sportive) and VC Moulins Steve Halsall. The scrap for the podium went right down to the wire with Whitehead riding well until in his own words “ had a mechanical of the body and ran out of blood sugar”. Colin May again hit podium and extended his series lead from a fine third from Halsall. The Vet Forty class had top guns John McCafferty (Leslie Bikes) and James Melville (Glasgow United) out of the action with injuries sustained before and at the event. Nonetheless Glasgow United's Stevie Jackson upheld team honour and was smashing up the formative laps with Gary McCrae (Leslie Bikes) giving chase despite suffering mechanical gremlins. This pair fought it out like hungry dogs till the final lap, with Falkirk's fastest Plumber Franco Porco (Leslie Bikes) consolidating third place. McCrae overcame his woes to make it three from three with Jackson and Porco filling up the remaining podium slots. Of note was the ride of Kenny Riddle (Moray Cycling Club) who held out for fourth, seeing off strong rides from John Woodrow (Sandy Wallace Cycles) and a class ride from Ian Nimmo (Squadro Porcini). 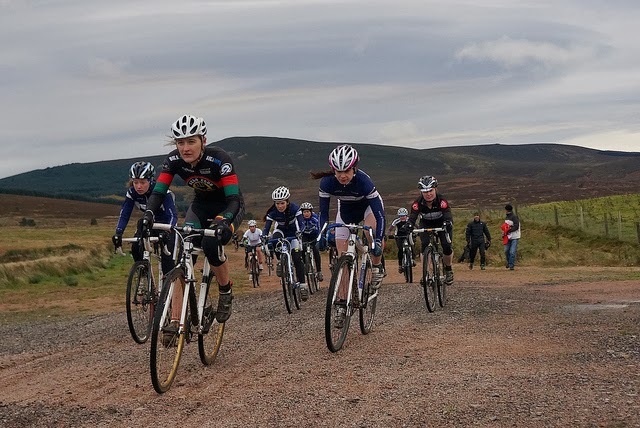 The Vet Fifty/Women and Juniors race saw the young team of Jamie Mason (West Lothian Clarion) holding off a hard charging Conor Nally (Hardie-Bikes) despite some loud encouragement from his DS Craig Hardie, and leading from the front of the race proper. In the concurrently run “Auld Yins” class Brenden Roe was again in top form and gapped Pedal Power's Bill Young with ease early on, with a powerful ride from Walkers Cycling's Robert Earp who has been showing great improvement in this years events. A strong Women's race again saw the talent that is emerging in Maddy Robinson (VC Moulin), who made the early running in a race that saw Kerry McPhee (Rock and Road) giving chase throughout, in the end Maddy made it two in a row in as many days after winning at the midweek Hallocross to cement her Ridley Scottish Cyclocross Series aspirations. Will there be any stopping her?..am sure McPhee and riders like Eileen Roe (Ronde) wont be giving up on taking a race or two to her this season. With split categories in Womens events, “Pocket Rocket” Isla Short (Team Thomsons) and first Veteran lady Brenda Callendar (Stirling Bike Club) made the top step of their respective categories. Finally to the Youth, Under 12 and Under Eight classes, you cannot fail to be impressed by every single rider who went out in the bitter cold and still managed to finish the race with a fair amount of grit and determination. The Under Eights saw Elliot Rowe in command of proceedings with best Girl in the shape of Kirstin Peil. The Under Twelve featured a win from Callum Reid and Anna Flynn. In the well supported Youth series , honours went to Joe Nally and Emma Borthwick in the Under Sixteen category , with the Under Fourteens rounding of the report with wins from Sean Flynn and Ellie Park. 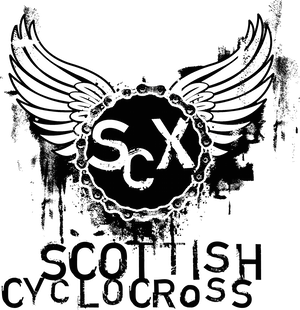 Knockburn, and Deeside Thistle you did Scottish Cyclocross proud this year, and many are already looking forward to next year, two events over a weekend perhaps? The organisers would really like to thank the following: Alpine Bikes, Ballater Bike Station, Stena Drilling / MacIntosh Plant Hire, Norco TAQA and Alan Grant Grampian Ltd for supporting the event as well series sponsors Ridley Bikes and Lazer Helmets.